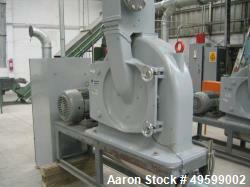 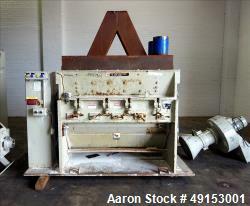 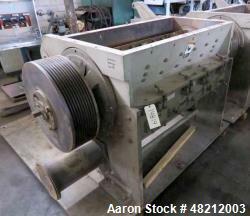 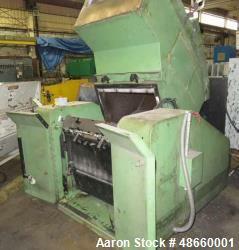 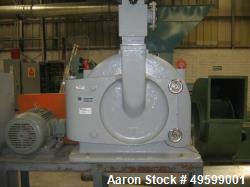 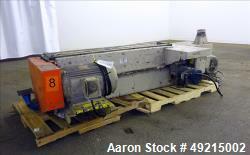 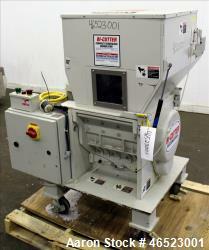 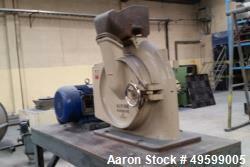 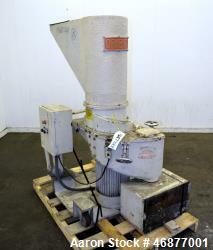 Used-Rapid Model 1224 KU Granulator. 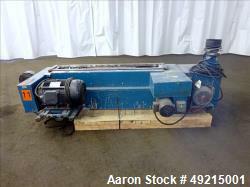 Unit is equipped with a 3 knife open style rotor and two bed knives. 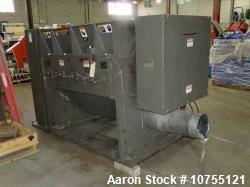 12" x 24" cutting chamber. 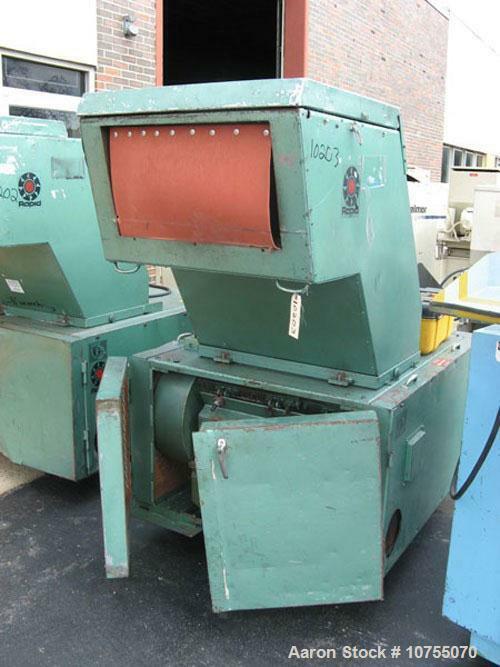 Unit has a tray feed style hopper with both hopper and sides insulated. 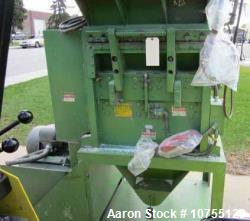 Unit has 3/8" diameter screen size with a 6" right hand Airveyor discharge. 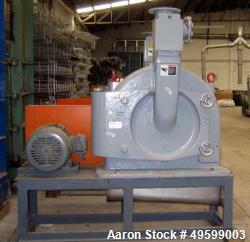 Belt driven by a 20 hp, 230/460 volt motor including starter and controls.